First in family to go to college? DACA? Funds are now available. 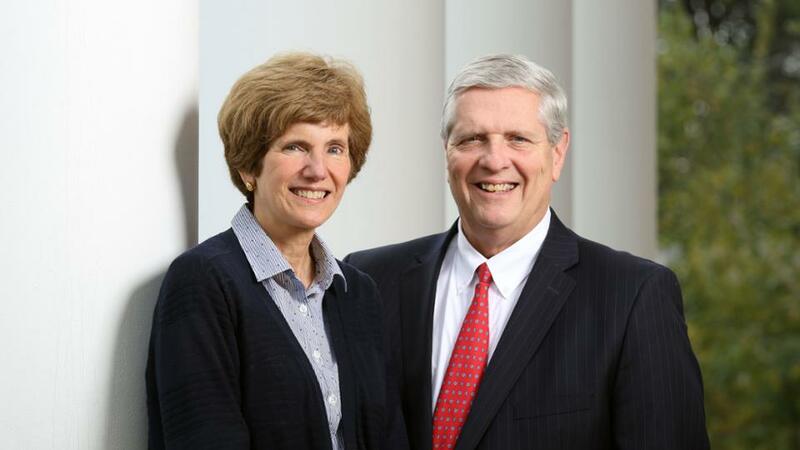 It was the wish of Fred and Carol Logan, two longtime supporters of the College, to give these students a chance at higher education. The couple also wanted the children of undocumented immigrants to have access to the scholarship. The Logans finalized the scholarship two months before U.S. President Donald Trump called for an end to the Deferred Action for Childhood Arrivals (DACA) in September 2017. The timing, though coincidental, brought attention to the DACA students’ dilemma. Fred Logan served as a trustee for JCCC from 1992 to 1997, and then sat on the Kansas Board of Regents from 2011 to 2015. He was chair for 2013-2014. “From my time on the Board of Regents, I saw how important Kansas in-state tuition was for this (Dreamer) group,” he said. The Logans established the scholarship at JCCC because they believe in the College’s educational and vocational opportunities. “We know what JCCC can do, and we have a lot of faith in what the Foundation can accomplish,” Carol Logan said. The Logans joined the JCCC Foundation Board in 1985 and attended their first Foundation dinner in 1986. At that time, the College was still “dark and bare” at night, Carol Logan said, since suburbia had yet to hit the campus borders. The two served as hosts for the 1991 “Some Enchanted Evening” fundraising gala. Carol was pregnant at the time with twins and still can recall the black velvet maternity dress she wore that night. “JCCC has been a part of our lives for years. Through the Foundation we have seen how the College has grown. Even though we’ve played a very small part, we’re excited to be able to give back in some way,” Carol Logan said. Have a JCCC application for admission on file. Complete a Free Application for Federal Student Aid (FAFSA), since the scholarship does consider financial need. Complete the JCCC Scholarship Application. More information is available online. For the endowed scholarship’s first year, around $800 will be provided. The Logans hope fundraising efforts will increase the award to $1,250 by 2020. If you’d like to contribute, contact the JCCC Foundation at 913-469-3835.